Blurb: Considered a spinster, Lady Drusilla Rudney has only one role in life: to chaperone her sister. 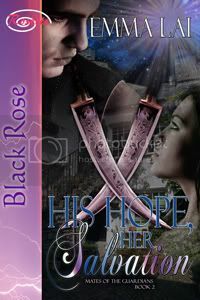 So when her flighty sibling elopes, Dru knows she has to stop her! She employs the help of a traveling companion, who looks harmless enough…. Former army captain John Hendricks is intrigued by this damsel in distress. Once embroiled with her in a mad dash across England, he discovers that Dru is no simpering woman. Her unconventional ways make him want to forget his gentlemanly conduct…and create a scandal all their own! 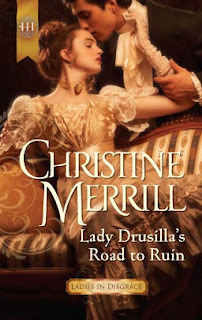 Review: I am a big Regency romance buff. There is just something magical about the period and when an author can sweep me away and drop me into this romantic time....well, I love it. Ms Merrill has done just that. In this whispy tale I got everything that I could ever want. Romance, passion, passion, plot, and tension. Put that together in a well rounded story and it was the whole package and one that I am thrilled to say left me breathless.